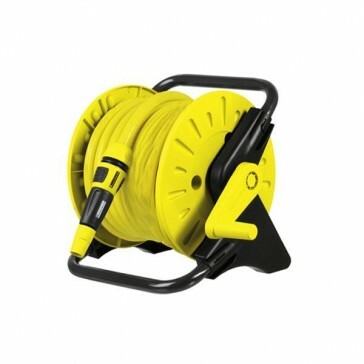 Basic Hose Reel includes 15m High Quality Hose. Pre-assembled and ready to use. 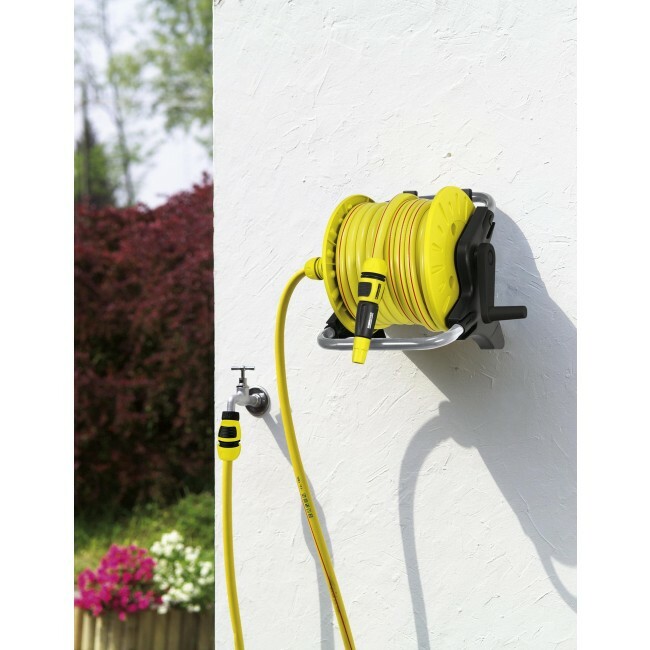 Includes wall mount bracket for easy storage. 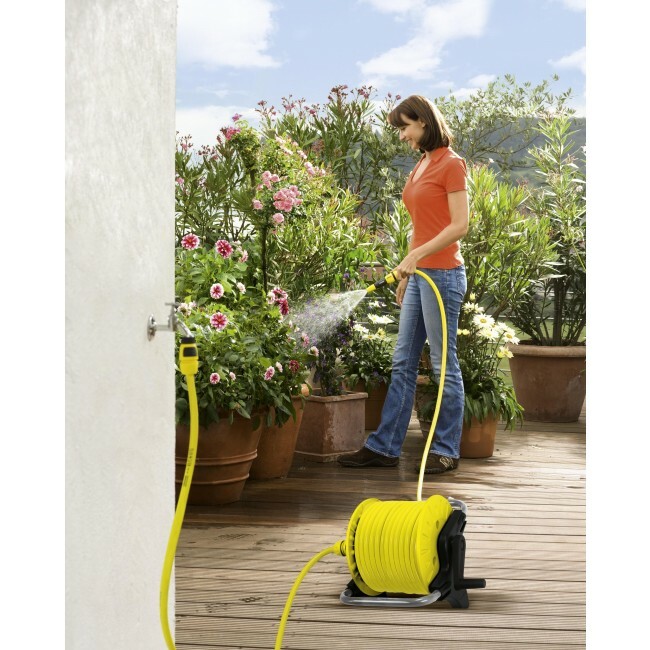 Compact robust design ideal for small gardens. Package also includes 3 x Plus Universal Connectors, 1 x Plus Universal Connector with Aquastop, 1 Spray Nozzle and 1 x 3/4" Tap adaptor.